This potato salad style dish is made with roasted potatoes and can be served hot or room temp. If you want to serve the dish cold I would recommend boiling the potatoes instead of roasting. A few weeks ago I bought a huge bunch of fresh local basil and this was a great way to enjoy a heaping handful of one of my favorite herbs. This recipe utilizes my recipe for Lebanese Garlic Sauce. Basically add a ton of chopped basil to a few tbs of the Labanese garlic sauce then smother all over warm roasted potatoes and presto perfect side dish for dinner. If you are going to serve this as a potato salad add super finely sliced celery, radishes and some green onion. Simple is always delicious! Love basil, love potatoes so this is a winner in by book. I love the twist on potato salad. Looks tasty! 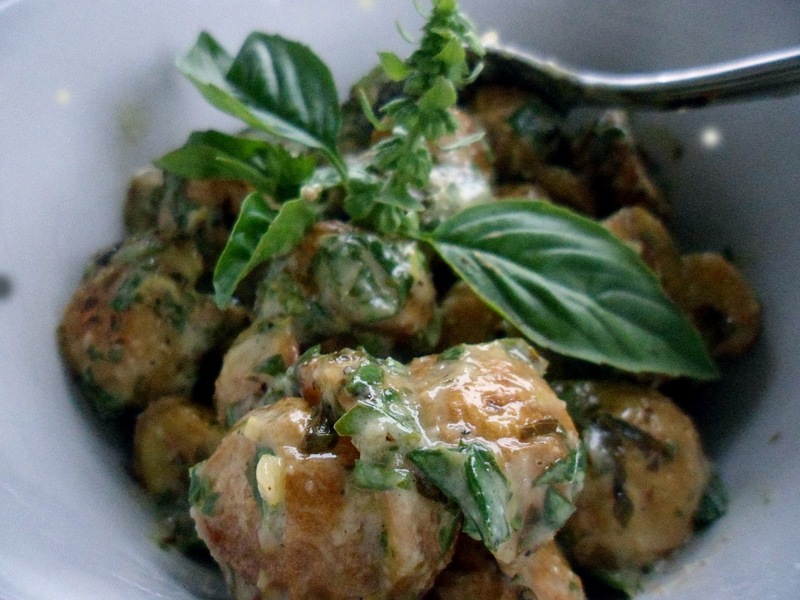 Basil works great with potatoes - this looks like a great sidedish!